My Unique bear was spotted with her new owner in Uganda! She’s named after one of my favorite Glee characters, the main singer in the video below. I hope they’ll be very happy together! Looks who’s heading to Minnesota tomorrow! 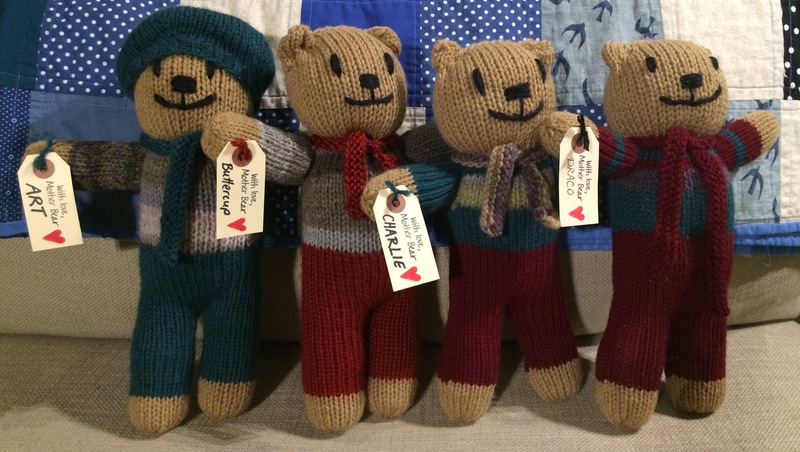 10 of my 26 bears from 2015! 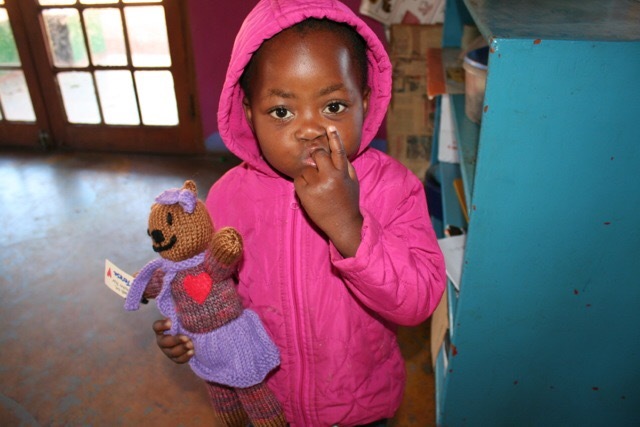 My Teresa Bear has been spotted in South Africa! Yesterday morning I finished my 15th hat for Larkin Street Youth Services. 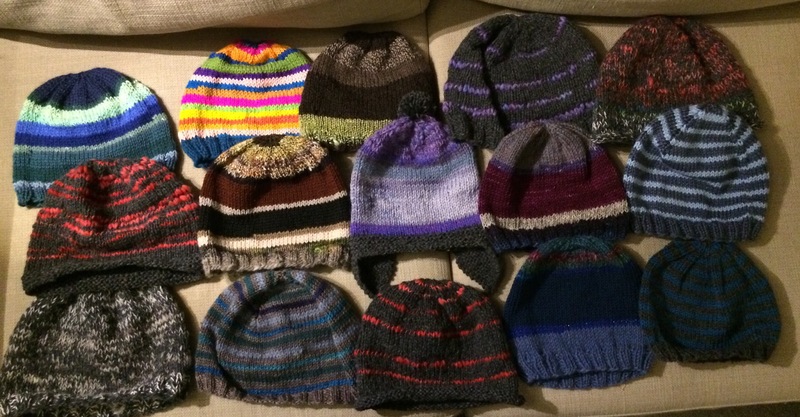 My goal was 15 hats for 2015. It turned out to be pretty easy to churn these out- each hat only takes 1-2 days to knit. The hats are distributed in December to homeless teens in San Francisco (this organization helps more than 3000 youth per year). Around 40% of homeless teens in the United States are LGBT. I have a special impulse to support LGBT causes, and I feel like this is an easy way to do so. A kid who’s going through a tough time during such a pivotal time of their life can receive a hand made hat (in addition to the support and services provided by this organization, which are amazing), and feel that someone cares for him or her- especially during the holiday season, which must be really rough for a homeless teenager. I hope these hats will spread some cheer and hope. 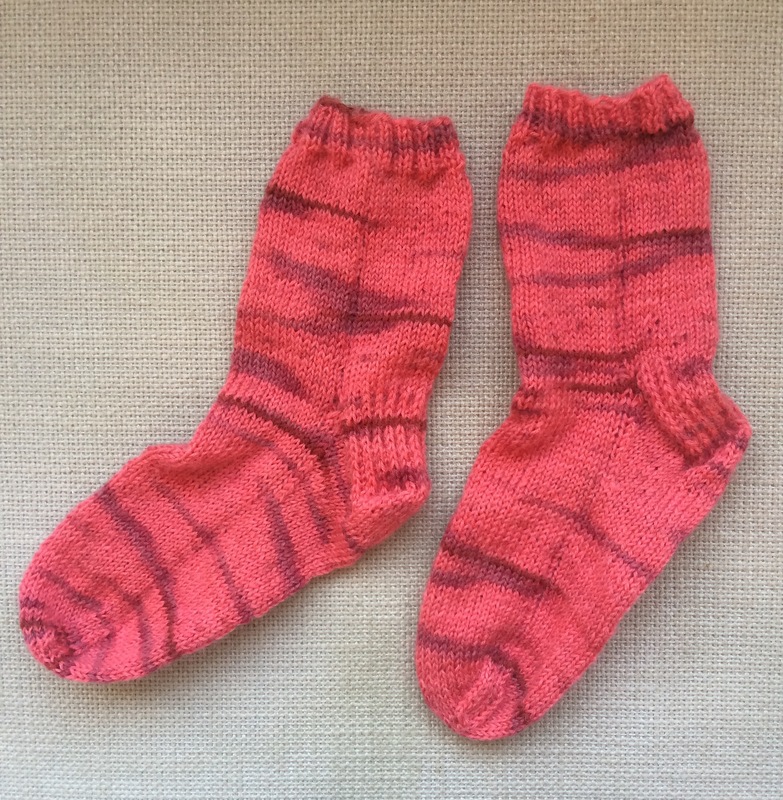 The Wee Girl’s socks, finished last night! 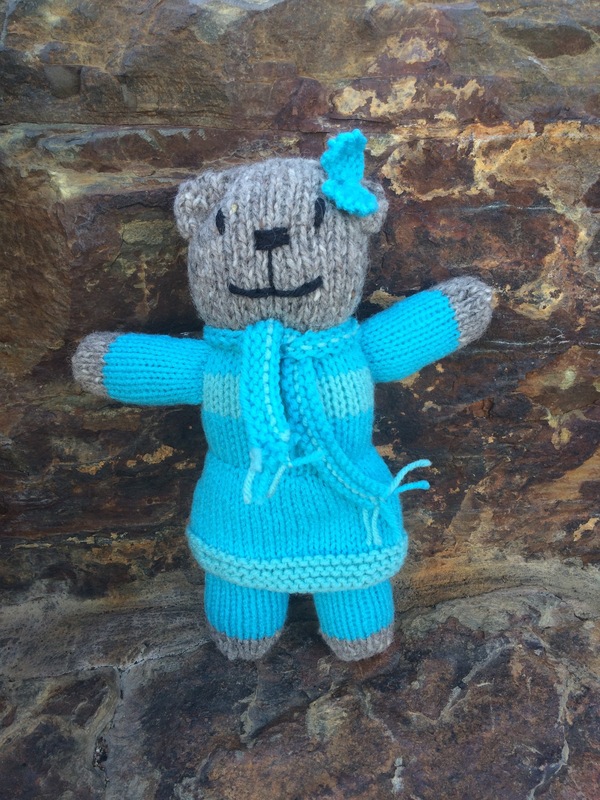 And my Hermione bear, finished this afternoon at the park. You may have noticed that I’m trying to use up large quantities of blue acrylic! I’ve been putting a big dent in my bear/acrylic stash lately, but I must remind myself not to accept so much of it at the next stash exchange, as it’s pretty much the last yarn I reach for, and tends to stick around for too long. 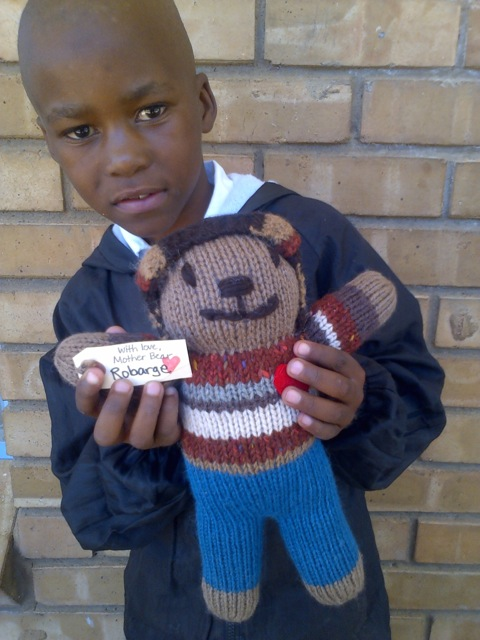 My Robarge Bear has been sighted in South Africa! In spite of the dubious expression, this child is most likely happy with his bear; we bear knitters been informed that 1)a lot of kids who receive bears haven’t had their photo taken before, and don’t know what to make of it, and 2) the kids don’t always understand that they get to keep the bears after the photo. So some kids look excited or happy, while others might look confused or indifferent in the photos. Tomorrow I should have two FOs to show you. One is my latest bear (it’s nearly all knitted up, just needs stuffing and embroidery), and the Wee Girl’s socks!